The good weather arrives and with it the desire to enjoy the terrace, the balcony or the garden. 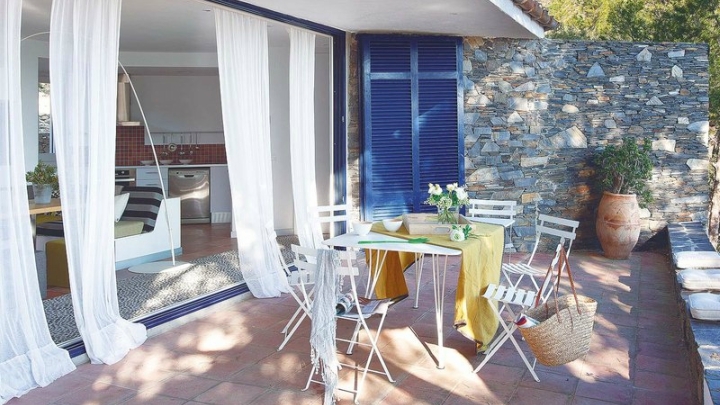 Today we will see some ideas, so you can decorate these outdoor spaces with a cabinet very suitable for this. 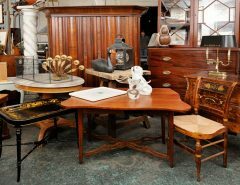 Wooden furniture, raffia or other materials, furniture of different styles that adapt to such a special place that, if you are lucky enough to have it in your house, surely you want to make the most of it. Let’s see how you can get it. Although the balcony generally has smaller dimensions, we do not forget your decor. You can opt for folding furniture for you to occupy less space and to be very welcoming do not forget to put some cushions and carpet. And to avoid being disturbed by the sun, place an umbrella with bracket, without foot. It occupies no place and is very comfortable. One way to maintain the privacy of your outdoor space, protection from the sun and enjoy pleasant evenings in good company is to place a pergola or a gazebo. They are different concepts but can help you achieve the same goal. And they are very decorative, since you can play with the plants and materials chosen to add an extra decoration. In addition to serving you to decorate your terrace or garden storage furniture helps, you keep this area neat. 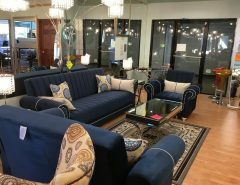 You have many options, from closets, banks at any given time you can also serve as a seat if you put on them cushions … As for materials, wood is always more decorative, but must treat to stand well with the naked eye. If you do not want to worry, opt for maintenance-free outdoor materials. 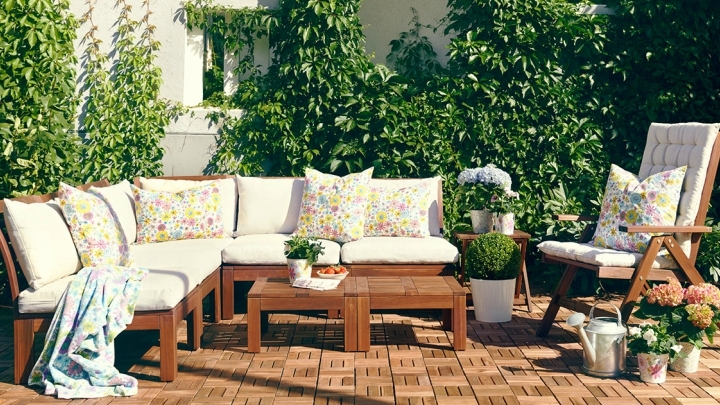 When choosing furniture for your garden or terrace you can play with the different decorative styles that exist. 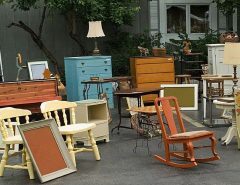 If, for example, you love the decor vintage can put a table and chairs pickled wood, avoiding getting wet or out of the sun or treating them for it. Do not forget to add some flowers to give it a romantic touch. If you prefer the industrial style, you can look great metal chairs, each of a shape and color, around a sturdy solid wood table. One option that I like is to place white furniture on the terrace, and add notes of color with plants and flowers or some textile accompanying the set. They give a very pleasant and cozy feeling, perfect for designing outdoor spaces in which to spend great moments this spring and summer. 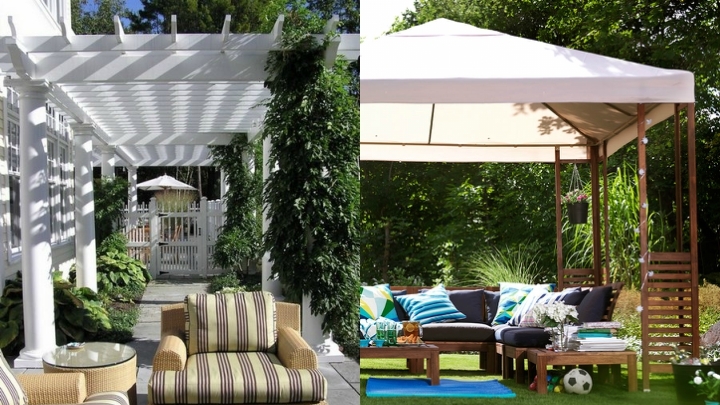 Other furniture that I love for terraces and gardens are hammocks, preferably hanging, and seesaws. With them, you will be able to create an area to relax the most special. They are also very well on the porches, and if they are filled with soft cushions with colorful fabrics, for example, bring joy to your area.